Branson’s Wild World is considered as one of the most popular attractions in Branson where you can have fun and wild time with a variety of land and sea creatures. This unique facility which houses all kinds of land and sea animals including the deadly and dangerous is also a perfect place to hold your next birthday party. This fascinating place provides fun for all ages and all the guests of your party can spend many hours enjoying all that Branson’s Wild World has to offer. All birthday party celebrations that are going to be held at Branson’s Wild World come with interactive animal exhibits, blacklight mini golf and of course they can have their own party room. Where else can you hold a party in Branson while at the same time getting up close and personal with many cute but not cuddly animals? Only at Branson’s Wild World where you can truly enjoy a real animal adventure with some of the fiercest creatures on earth like none you’ve ever experienced before. Combined as a zoo and aquarium, Branson’s Wild World is the only place in Branson that displays bull sharks. Not only you can see them, but you can feed them also. The aquarium is also filled with all kinds of sea creatures such as jellyfish, eels, piranha, and a full reef tank. The zoo facility of Branson’s Wild World features indoor wolf display where you can meet Lobo and his pack of wolves. The facility also houses sea turtle, alligators, over 180 other species of animals, and would you believe singing dogs also. 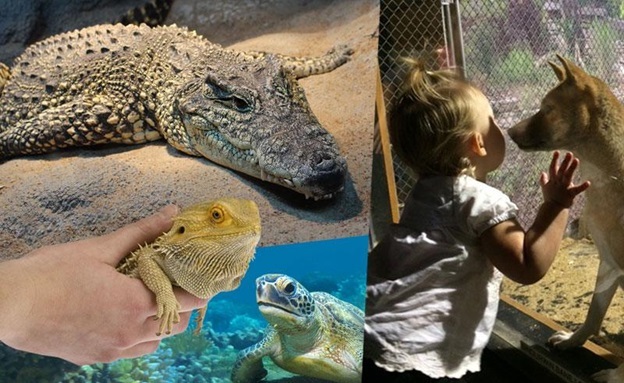 Kids and adults alike are sure to enjoy all sorts of fun opportunities that give them the chance to interact with the animals, hold them, feed them, and learn about them. If you come to Branson’s Wild World to celebrate a wild Birthday Party, you can join Jungle Free Play Arcade and enjoy playing with the best arcade in Branson. The games you choose are all free to play after a small cover charge. Here you will enjoy many playable arcade games, classic games, driving games and more. Aside from holding a birthday party, the Jungle Arcade is also a great place to hold a get-together party or a corporate function. 3D Adventure Mini Golf is another exciting activity to enjoy at Branson’s Wild World. You need to be brave enough to enjoy the time of your life as you experience 3-D Blacklight Mini Golf Course, The Hunt for Davy Jones’ Locker. Be prepared for yourself as the 9 hole miniature golf course is overrun with pirates, and they aim to see you walk the plank. Golf players travel through a treasure cave, a jungle, a volcanic area, and onto the beach of a private island. So, if you are looking for the best place to hold a wild birthday party with friends, come celebrate with them at Branson’s Wild World and get the chance to interact with the animals.